Determining why your company should engage in a social media plan is one of the first and most important steps. Working towards the “what” without the “why” can result in wasted time, money and set a B2B marketing program off track. Next up in our B2B marketing innovation interview series is Mack Collier, a well known and respected social media strategist and trainer specializing in helping companies better connect with their customers via social media. Mack is also the force behind #BlogChat, the largest organized chat on Twitter. In this interview, Mack dives into four things brands can do to cultivate and connect with fans, as well as well as three basic questions every marketer should ask themselves before embarking on a social media marketing program. He also offers sage advice on B2B marketing innovation and tools. Please tell us about you and the kind of B2B marketing work you’re most excited about. Solve any tough ones lately? The thing that really excites me about blogging, social media, content marketing, etc. is that I think we are getting back to the idea of creating marketing communications that can also create value for our customers. I think we are getting away from the days when you ‘win’ the sale by simply banging customers over the head with your commercial 15 times, to creating content that also creates value, which helps build connections as well as your expertise. What are the essential starting points small businesses should consider when employing social media marketing and blogging in the B2B space? Too many businesses start using social media without asking themselves WHY they want to start using social media. (Hint: ‘Cause everyone else is’ is NOT an acceptable answer) Once your business can fill in that blank, then you can craft a social media strategy that actually helps you reach that goal. There’s a common association that it’s tough to come up with new B2B marketing ideas, but as you know, innovation exists within B2B as much or more as it does with consumer marketing – just in different ways. What’s your process for coming up with new and innovative ideas for your B2B marketing efforts? It’s tough for most businesses to come up with ANY new marketing ideas. But I think that’s often the case because businesses view their new marketing effort as ‘How is this going to help us stand out?’ vs ‘How is this going to help us create value for our customers?’ I think the growing trend of embracing content marketing is really helping businesses to review the idea of creating value via marketing, which I think is awesome. An essential part of building a business online is to attract and engage a community. What are your most practical tips that companies and brands should consider for connecting with and cultivating fans? Be a part of the audience they want to connect with. Look at the world through the eyes of your customers. How does Harley Davidson do market research? By jumping on their Harleys and going for a ride on the weekend with their customers. The brands that do the best job of connecting with their fans look at their world the eyes of their most passionate customers. Embrace your fans. The biggest mistake most brands make when it comes to their fans is that they leave them alone. Your fans are special people that WANT a deeper connection with your brand. Reward that desire and look for ways to build a deeper connection with them. Focus on the ‘Bigger Idea’ behind your brand. Don’t focus on your product or service, focus on what your customers do with your product. For example, in its content Patagonia focuses on issues that are relevant to its customers, such as sustainability, protecting the environment, and being active outdoors. This approach makes its products more relevant to its customers. Look for ways to shift control to your fans. If you want to make your marketing more relevant to your customers, make sure it is spoken in a voice that they can understand and relate to; Their own. I’m not talking about simply crowdsourcing your marketing, but understanding your customers, and giving them input into the direction of your brand. Remember that your fans WANT to be heard by your brand. They want to know you are listening, and if you show them you are, that only validates their love of your brand. Developing a solid B2B marketing plan takes research, and understanding of the customer goals, pain points and journey. What are some of the most common myths or mistakes you’ve seen with B2B marketing planning? Any tips on how to be more successful? One of the great things about the rise of social media and digital communications tools is that it makes it far easier for engaged businesses to better learn about and understand its customers. There’s an exponential increase in content being created by…well everyone, and that content can be distilled down into valuable customer insights for the businesses that are willing to put in the legwork. I think one of the biggest mistakes B2B companies can make is to form a picture of who their customers are based on outdated or incomplete information. Leverage these new social tools as a way to better understand and segment your customers to improve your marketing efforts and make them more effective and efficient. With all the hype in the business marketing media, it’s tempting for companies to chase trending B2B marketing tactics like visual marketing or social networking. How do you decide what the right B2B marketing tactical mix is for companies that you work with? Let your goals define the tools you will use, not the other way around. Companies that are in search of business growth with limited resources can often close part of the gap with tools. What tools do you recommend for B2B marketers (or marketers in general) to get more out of their online content and social media investments? Blogs. I will always love blogs because with a blog you control the content platform. That’s huge, and it allows you to create content that search engines love. LinkedIn. It’s simply more business-oriented, and there’s a higher probability that you can find key decision-makers and cultivate a relationship with them. Now in general, it’s impossible to ignore Facebook simply because it’s userbase is so massive. If you are a business operating in the tech sector, it might be worthwhile to investigate Google Plus as well. Please share your advice for other B2B marketers out there on how they can be more innovative. In general, I think we all tend to overthink marketing. I think it all goes back to understanding who we are trying to connect with and how we can create communications that are valuable for them. For B2C brands, that might be less about the product and more about how customers will use the product and what they will do with it. For B2Bs, the idea is the same, its more about how another business will use your product or service to more effectively and efficiently run its business. I think a good starting point is to ask yourself ‘What business problem does our product or service help solve?’ Create marketing that focuses on the direct benefit for businesses. Thank you for your insights Mack! If you’re looking for even more insight on making your business more innovative, be sure to attend a recap of the first day of the conference on #BlogChat on October 4th. Mack will also be participating in the One-on-One (Marketing) Therapy on the topic of blogging for attendees looking for a little more input from an industry expert. Also be sure to check out the TopRank session on 360 degrees of optimization with search and social media marketing: “Integrating Content, Search & Social to Optimize the Funnel” – Friday, October 5th at 8:15am. We’ll be releasing an eBook soon that’s chock full of B2B Marketing Innovation tips from B2B marketing champions like IBM, SAP and Silverpop, so be sure to check back! What’s your best B2B Marketing Innovation tip? We would love to hear from you. Share your best B2B marketing innovation tip by Wed 9/27 and you will have a chance to win two of the best books on content marketing: Content Rules by Ann Handley and C.C. 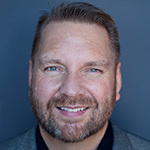 Chapman and Optimize by Lee Odden (hey, that’s me! ).